> Would crowdfunding work for me? > Which platform should I use? > Who else is crowdfunding stuff like mine? > How can I improve my project pitch and campaign page? > How many crowdfund campaigns are currently active? > What is the most popular crowdfund category? > Which is the most successful crowdfund category? > How many crowdfunding projects are launched each day? > What percentage of crowdfunding campaigns reach their target goal? > How much can I raise with my crowdfund campaign? > How much is usually pledged to crowdfund campaigns? Remember the Kevin Costner film Field of Dreams? If you build it they will come? Well they won’t. Not to a Crowdfunding project. Not unless you do a serious amount of work in advance of launching your campaign. Look objectively at your network. How many friends and family would support your project both financially and by sharing? How big is your online network? On Facebook, Twitter, LinkedIn etc? How engaged are they with you? Is your network broad reaching or fairly focused in one area, e.g. job specific or hobby related? This is your primary audience, and you should aim to raise 20-30% of your target amount from this group within the first day or so of your campaign going live. Your secondary audience comes from the links to your project shared by your primary audience, your friends and family, so you need to make sure you give them the tools they need and the messages you want them to send. Your tertiary audience is the group of people who don’t know you, aren’t directly linked to you, and will probably come across your project on the Crowdfunding platform you’ve chosen, by searching for a topic they like and finding your post in their search feed, or simply by coming across you at random. This audience is the hardest to engage, so your pitch must be compelling, your rewards exciting, and your fundraising total rising to demonstrate enthusiasm for your project – the latter will also give these strangers in your tertiary audience some comfort that you’re not likely to take their money and run off with it. A stranger happening onto your project and seeing little engagement and 0% funding is unlikely to take a punt on you. Who else is crowdfunding stuff like mine? You can use the project discovery tools on TheCrowdfundingCentre.com to find projects similar to you own which will help give you ideas and inspiration of what you can do with your campaign. Simply visit thecrowdfundingcenter.com/projects and find projects in your category with a similar target and find out what is working for them. Seeing what others have offered as rewards, what goals they have set and how successful they have been will give you a great set of benchmarks to work from to make sure you are heading for the best chance of getting funded. All platforms have a step by step approach to building a Crowdfunding campaign. You’ll be prompted at every stage to add information and most platforms will have popups or simple explanations at each point. You’ll be asked to provide a project title, short description, long description, images, video, social links and rewards, but the order in which you’ll complete this does change across the platforms. Take your time to read the advice given and check the FAQs on your chosen platform before you start – make sure you have a PayPal account (and/or other) in order for payments to your project to be processed, and do your research into projects similar to yours at the outset. When writing your project pitch, be passionate, enthusiastic, share your ambition and try to create an exciting, engaging pitch. Make sure you say upfront how much you’re trying to raise and what it’s for. Keep this brief, and then below start to explain why this project is so important to you. Explain where the idea came from, what you want to achieve, who will benefit and how, and then explain what you intend to spend the money on. There is always a healthy number of active projects in a variety of categories and you can see the projects in The Crowdfunding Center projects database or click below to see all of the latest stats and insights into the campaigns we have seen. How many spacehive crowdfunding projects are currently active? How many sponsume.com crowdfund campaigns are currently active? How many video games crowdfund campaigns are currently active? How many social enterprise crowdfunds are currently active? What is the most popular crowdfund category? To define most popular we look at the number of campaigns started and funded and also the numbers of backers on average for each type of project within the data we have gathered. You can see these details and more for each category by clicking below. What is the most popular crowdfund category on kickstarter? What is the most popular crowdfund category on fundrazr? How many people back social enterprise crowdfund campaigns? How many people back technology crowdfund projects? There are various measures of success and we start by looking at the totals raised and the number of actual campaigns funded in a category. This also tells us the average amount raised per project in each category which can help crowdfunders set reasonable targets. You can find out more and see for yourself the categories analytics and comparisons by clicking below. Which is the most successful category on sponsume.com? Which is the most successful category on angelsden? How successful are events crowdfunding projects? How successful are fantasy crowdfunding projects? How many crowdfunding projects are launched each day? On the platforms we track we have seen that there are generally less campaigns started at weekends, but on average there are over 400 each day. There is a wealth of information about projects and you can create reports for periods to find seasonal trends by clicking below. How many crowdfunds are launched each day on crowdcube.com? How many crowdfunds are launched each day on kickstarter? How many religion crowdfunding campaigns are launched each day? How many experimental crowdfunding campaigns are launched each day? What percentage of crowdfunding campaigns reach their target goal? In the projects we have seen, there has been typically 1 in 4 campaigns reaching their goal before the end date. What we have also seen is this does also vary greatly between categories and you can see the breakdown of ended/funded projects by clicking below. What percentage of crowdfunding campaigns on kickstarter reach their target goal? What percentage of crowdfunding campaigns on angelsden.com reach their target goal? What percentage of health crowdfund campaigns reach their target goal? What percentage of science crowdfund campaigns reach their target goal? How much can I raise with my crowdfund campaign? There is no guarantee of the amount you can raise and no simple answer to this question. The amount you can raise depends on a number of factors, not only your idea and pitch itself but also your the size of your existing network, skills, team, etc. What we have seen is that people often set their goals unrealistically high and end up raising only a tiny fraction or even nothing at all. When campaigns have sensible and achieveable targets, they do tend to reach them more often. You can see for yourself the distribution of funded campaigns by the goal amount by clicking below. How much can I raise with my crowdfund campaign on fundrazr.com? How much can I raise with my crowdfund campaign on spacehive.com? How much can I raise with my science crowdfunding projects? How much can I raise with my personal crowdfunds? How much is usually pledged to crowdfund campaigns? The price of rewards is set by the campaign owner and often these range from $1 to hundreds if not thousands of dollars depending on the campaign. 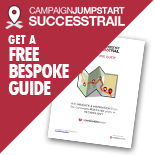 We have seen millions of people pledge to thousands of different campaigns and we have found, as you might expect, that the average amount pledged varies greatly between funded projects of different categories. Typically the average pledge is between $80-90 but this is around half of that for some categories and 5 or more times for others. You can see a chart showing how the categories compare by clicking below. How much is usually pledged to crowdfund campaigns on crowdcube? How much is usually pledged to crowdfund campaigns on indiegogo.com? How much is is usually pledged in video / web crowdfunding projects campaigns? How much is is usually pledged in comics and graphic novels crowdfunds campaigns?